The 2019 Sundance Film Festival officially kicks off today in Park City, Utah. This year, we’re proud to tout that four IDA Enterprise Documentary Fund grantees, two IDA fiscally-sponsored projects and eight IDA member films will be showcased in the U.S. Documentary Competition and Documentary Premieres programs. While 45 percent of the festival’s films are directed by women, all four of our Enterprise grantees are created by women. If you are one of the 125,000 weathering the Utah winter, be the first to relish these films on the big screen. Don’t forget to look out for the IDA team who will also be in attendance: Simon Kilmurry, Executive Director; Amy Halpin, Deputy Director; Claire Aguilar, Director of Programming and Policy; Tom White, Documentary Magazine Editor; Carrie Lozano, Director, IDA Enterprise Documentary Fund; Development Manager - Institutional and Individual Giving, Sandra Ignagni and Toni Bell, Filmmaker Services Manager. 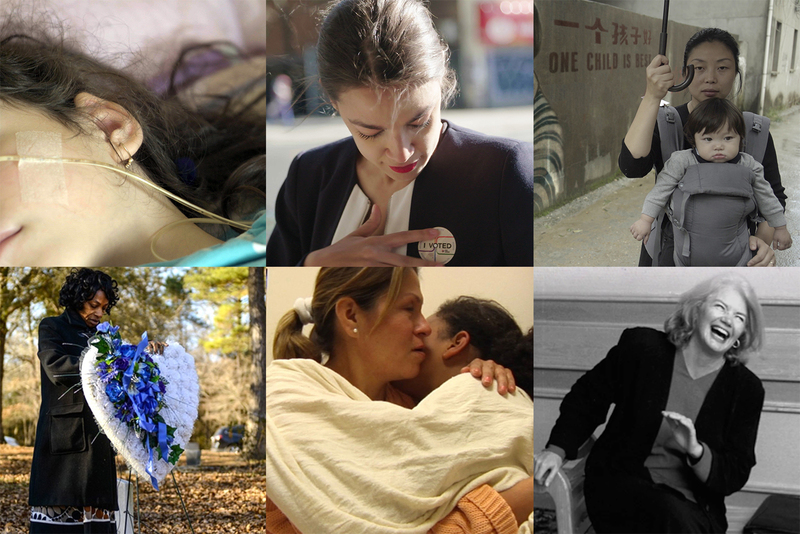 This film follows four women—Alexandria Ocasio-Cortez, Amy Vilela, Cori Bush and Paula Jean Swearengin—who join a movement of insurgent candidates to topple incumbents in an electric primary race for Congress. At a moment of historic volatility in American politics, these four women—all political outsiders—unite to do what many consider impossible. Their efforts result in a legendary upset. Nanfu Wang, the 2016 IDA Emerging Documentary Filmmaker Award honoree, returns to China for her third feature documentary. Now a first-time mother, she investigates the one-child policy and reveals how relentless propaganda brainwashed Chinese citizens into committing unspeakable crimes against fellow villagers and family members. Through interviews with both victims and instigators, along with revelatory data regarding the sheer number of abandoned children (nearly all of them infant girls), One Child Nation breaks open decades of silence on a vast, unprecedented social experiment that shaped—and destroyed—countless lives. When her 17-year-old son, Lennon, was found hanging from a swing set in Bladenboro, North Carolina, the authorities quickly ruled his death a suicide. In light of suspicious details surrounding his death, and certain that her son would not take his own life, Claudia Lacy is convinced Lennon was lynched. Jacqueline Olive’s unwavering debut film puts Lacy’s pursuit for justice into a wider historical context, inspiring a powerful discussion about lynching across racial lines. A film dedicated to the Texas maverick named Molly Ivins, often compared to Mark Twain, she was one of the most courageous journalists of modern times... and also one of the funniest! Molly was a trailblazer for female journalists. At the height of her popularity, nearly 400 papers carried her column. She appeared on national television and radio, lectured all over the country and encouraged her constituents to raise hell and fight for freedom. Bedlam is the first major documentary to explore the crisis in care of severely mentally ill citizens. Set in Los Angeles, the film tracks wrenching individual stories of mentally ill patients caught on an endless merry-go-round of ineffective care, exposing the anatomy of a broken healthcare mill.